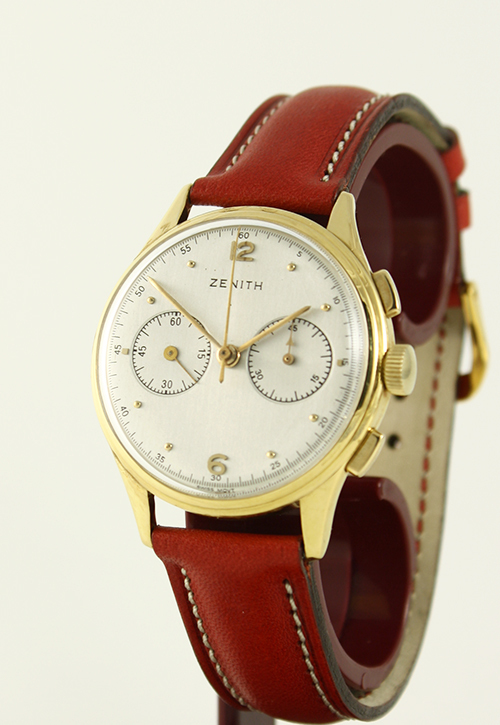 ZENITH Chronograph dating 1950 in excellent condition. 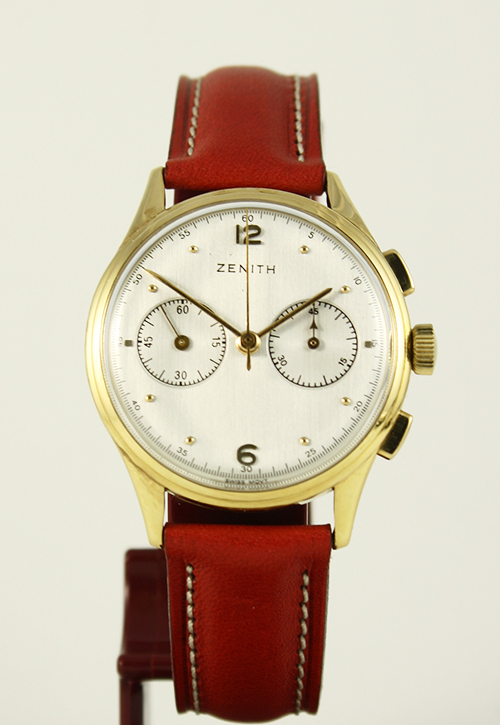 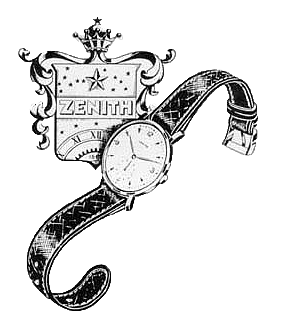 The ZENITH 143 is a very early chronograph movement featured with stopfunction. 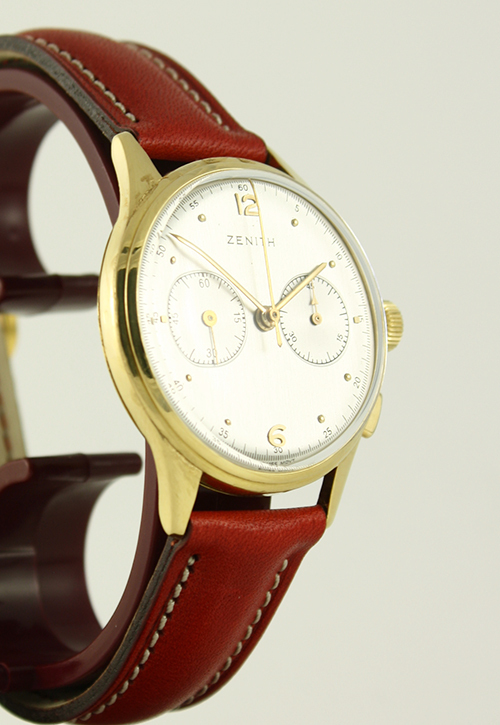 The robust 18K gold case measures 36 mm in diameter. 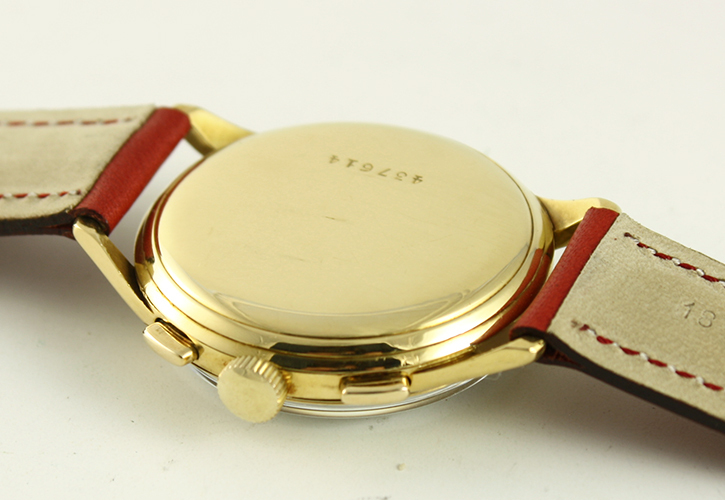 Naturally the movement was recently serviced and runs with great precision.